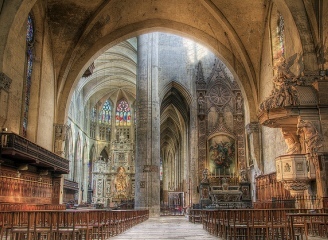 For most of the Middle Ages, the Roman Catholic Church and its theological teachings and traditions were the single most unifying force in all of Western Europe. While the common people suffered centuries under the burden of unpredictable local rulers, arduous manual labor, and the constant threat of invasion, the Catholic Church’s promise of heavenly rewards for living in accord with the established doctrine provided much comfort and hope to help masses endure their daily hardships. Even so, over centuries, a number of Christian sects would emerge that presented challenges to the Church’s supremacy and, quite often, were at direct odds with its practices and teachings. 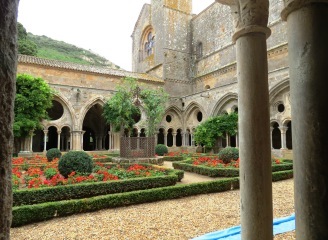 Among these sects, perhaps the most fascinating and enigmatic of them all were the Cathars of southwestern France. 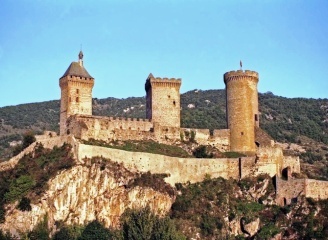 Who exactly were the Cathars, and how and why were their set of beliefs and practices so threatening to the established Church orthodoxy of the time that the pope felt it necessary to call for a crusade to eradicate fellow Christians? What other issues were at play? These are central questions that we will explore as we set out across the Languedoc region of southwestern France. Starting in the prominent medieval city of Toulouse, a city that was the seat of the most powerful count in the Midi region of southern France whose church architecture reflects not only the city’s preeminent status but also its place in early Christian history, we begin an investigation into the Cathar religion and its relationship with the established Catholic Church. 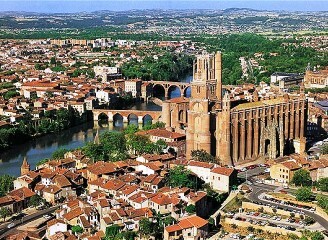 From Toulouse, we move on to Albi, the city that gave Catharism its other name and the crusade that was launched against it—the Albigensian Crusade. As we head south, we shall walk in the very footsteps of these “heretics” that the Catholic Church and the state authorities were so determined to eliminate, and the crusaders who were sent to root them out. Along the way, we discover the kinds of settlement that became centers of Catharism. 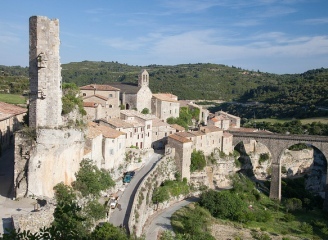 These fortified towns, with dozens of lesser villages en route, are set within the stunning backdrop of the Midi landscape, bordering on the shimmering waters of the Mediterranean Sea and the awe-inspiring mountains of the Pyrenees. 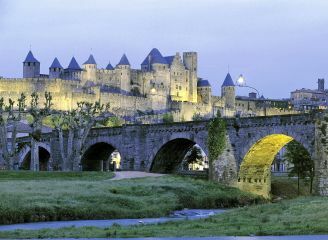 We shall also sample the castle architecture that has become so connected with the story of the Cathar’s struggle with visits to chateaux that exemplify the siting of Cathar strongholds at Queribus, Peyrepertuse, Montsegur, Foix, and Carcassonne. The majority of these sites bore witness to the horror of what defeat meant, as appalling atrocities were inflicted upon the vanquished by the merciless conquerors—the stories of each we learn about as we move from place to place. Join us on this once-in-a-lifetime, alluring sojourn that traverses the beautiful landscapes of southwestern France in search of attaining a heightened understanding of these devoted but unorthodox Christians. A people who held their beliefs so dear that they were willing to oppose the overweening power of the Church and sacrifice their very lives rather than abandon their creeds. Travel is a journey, not a destination.